Do you ever find yourself lying awake at night filled with anxieties and insecurities? Have you ever wondered if those particular anxieties bother you more than other people? While fear isn’t something that can be completely narrowed down by type, there are certain common anxieties that people of specific types mention. Over the years I’ve spoken with hundreds of people about fear and sorted out the specific things that each type tends to mention the most. I hope you enjoy this article and find some helpful tips for resolving fear and insecurity! Disclaimer: I am not a professional psychologist. If you find yourself facing these fears on a regular basis I definitely recommend getting some professional assistance. As an ENFP you will feel panicky and nervous if you are backed into a corner. If life starts feeling repetitive, or if you’re caged in by obligations, you will lay awake thinking of ways to fight back. You crave freedom, exploration, and adventure. If you’re stuck in a repetitive rut you’ll most likely be miserable and itching for ways to escape. If you are in this position right now, take a good hard look at what your values are. What’s important to you in the grand scheme of things? Do you need to cancel some responsibilities that are non-essential? Do you need to consider a different job? Perhaps even small changes can make a big difference. Schedule some unstructured free time to do whatever you want. Plan out the perfect vacation even if you can’t afford it right now (someday you might!). Read a book! That can be an adventure in its own right! While some people worry about their lives being dismantled by change or unusual situations, you worry about just the opposite. You like novelty, new experiences, new ideas and theories. You crave knowledge, challenge, and opposition to the “normal” way of thinking. When you feel tied down or forced to conform to the way things “have always been done” you get an inescapable shiver down your spine. Life is to be transformed, traditions are to be questioned, and possibilities are to be explored. If you’re feeling stuck in a rut right now maybe the best thing you can do for yourself is crack open a book about a new scientific theory or explore a philosophy that might turn your worldview upside down. Get out in the world and get a change of scenery or talk to a friend who you can count on for a lively (but friendly) debate. You look at the state of the world around you and it can be easy to see corruption, greed, and pain everywhere. Sometimes you read a story in the news about someone who was hurt and your imagination takes you into the depths of that experience. You worry about a future where freedom is a distant memory and conformity is the only way to survive. You fear for the people who are being persecuted, dismissed, or lost. The troubles of the world can become a heavy weight on your shoulders. But how can you live without that burden? For one, take a moment to unplug. Lock up your phone, turn off the TV, and get outside in the natural world. There are so many distractions buzzing around all of us and they only heighten anxiety and stress. Practice writing down 10 things you’re thankful for before you go to bed. Get enough sleep. Take a hot bath or read one of your favorite books. Confide in a trusted friend with your worries or play with your favorite pet. Find a simple but meaningful way to contribute to the world, whether that means helping out at a soup kitchen or volunteering at an animal shelter to walk dogs. This isn’t a one-size-fits-all solution, but one of these tips might help! You like to appear calm, cool, and collected on the surface. You value autonomy and your own personal space. Digging deep into a theory or philosophy gives you a thrill. But underneath all that independence you crave meaningful companionship. You worry about what you say, whether you’ve revealed too much, or whether you’ll ever know enough information to be content. Sometimes your biggest fears have to do with uncertainty about where you stand with the people you care about. You want depth, but you don’t want to put yourself on display or risk being too vulnerable. Sometimes you’re candid and regret it later. Sometimes you’d rather just while away the hours with your ideas rather than risk it all on a person (or people) who may just reject you in the long run. If you’re struggling with fear of rejection or fear of being too vulnerable, just remember that everyone has been, or will be, rejected at some point in their lives. J.K. Rowling was rejected several times by publishers before Harry Potter was finally published. Michael Jordan was cut from varsity basketball in his sophomore year because he “wasn’t good enough”. Putting yourself out into the world to show off your work, make a friend, or pursue a relationship can be a scary thing. But without trying you’ll never know what you could gain. 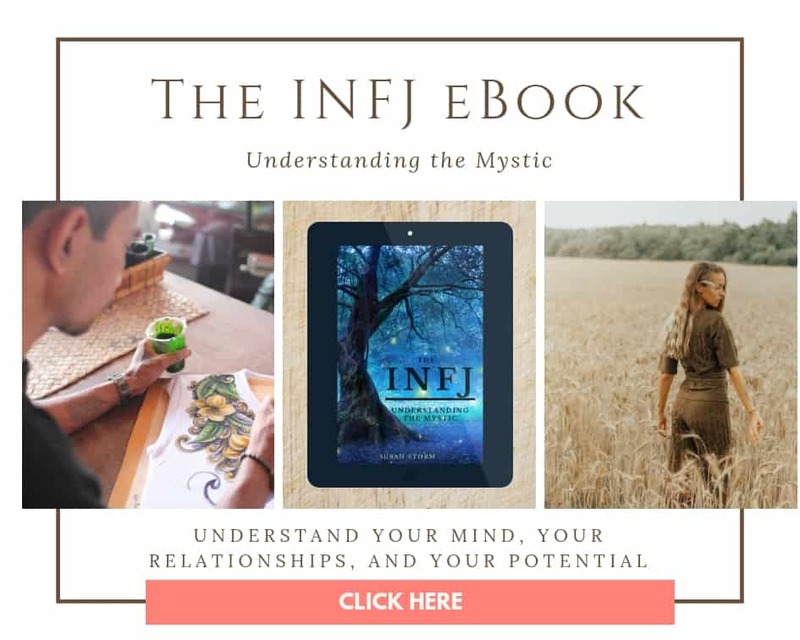 ENFJs like you are usually compassionate, visionary, and insightful individuals. People probably flock to you when they need consolation over a personal problem or direction at a confusing time in their life. But no matter how kind you are, eventually you will make an enemy or meet someone who likes to spread negative information about you. Mean-hearted gossips keep you up at night worrying about how you got yourself in the middle of all the drama. You hate being mistrusted or misunderstood and you desperately want to fix it. You might re-analyze all your choices and decisions to see if there is any way something you said or did could have been misconstrued. Just remember that what you think of yourself is what matters most. You can’t always control what other people think and do, you can only control yourself. Talk to a trusted friend for support, remind yourself of who you really are, and tell yourself that it’s okay that things outside of yourself are chaotic. True friends will be honest with you and either tell you what’s wrong or trust you enough to know when someone is making up lies. Ambitious and determined, you are compelled to climb the ladder of success till you can have complete authority over your own life. The idea of being a “worker bee” or living a life of mediocrity gives you a sick feeling in the pit of your stomach. You stay up at night concocting revolutionary plans, strategies, and tactics to stay on top and lead a life that is anything but ordinary. If you’re stuck in a humdrum, repetitive lifestyle where the biggest goal is to retire as early as possible you’ll feel restless and eager to spend time with people with bigger dreams, bigger plans, who are asking bigger things of themselves. If you’re feeling unchallenged and bored in your current lifestyle think of some ways to test yourself. Come up with a plan to create your own business, take up a recreational pursuit that requires mastery and quick thinking. Do something that fulfills your need for independent achievement. Big-picture focused and imaginative, you’re always keeping an eye on where things will lead. You notice underlying meanings all around you and try to figure out what those meanings entail for the days ahead. You look for symbolism and themes that will lead to changes (good or bad). Sometimes you see a pattern that leads to disaster and you feel like there’s nothing you can do to stop it. The fear could be something like the destruction of the environment or maybe seeing a friends relationships going in a direction that will inevitably end poorly. Whatever the pattern is, it’s usually something that you understand on a gut level but struggle to explain in words. You stay up at night wondering how to fix things, how to stop a negative pattern from repeating itself, or how to warn people so that things can improve. When this kind of fear hits you remember to pause and take some time to just dwell on your surroundings and the moment you exist in. Even if your insights are correct it will do you no good to catastrophize or overwhelm yourself. Remember what’s real, the objective facts at your disposal. Write down your insights, thoughts, and perceptions in a journal and then close it and let yourself sleep on it. During rest your mind typically synthesizes all this information and you will have a fresher perspective in the morning. Typically sure of your vision and determined to achieve it, many people think there’s nothing that you fear. You like to show a brave face to the world, but this doesn’t mean that nothing worries you at all. You know that fear of failure is irrational. You know that bravely focusing on your goal is the smartest thing to do. But sometimes you feel concerned about spending all your time on a project or idea that will never get off the ground. You worry about your vision being wrong or realizing your time was wasted. Time is valuable to you. It’s a currency that is always being spent whether you’re asleep or awake. If there’s anything that you’re afraid of it’s getting to the end or your life and realizing you spent all that time on a misguided plan or a vision that never came to fruition. Next time you’re feeling this fear, just remember that it’s universal. All the great entrepreneurs and visionaries have failed at one point or another. Even Steve Jobs was fired from the very company he began. He once said, “I didn’t see it then, but it turned out that getting fired from Apple was the best thing that could have ever happened to me.” Just remember that there is something incredible to be learned from nearly every negative experience, so failure or no failure, there’s no reason to give up hope. Enthusiastic and filled with charisma, you are often the one that people look at and wish they could emulate in social situations. Your ability to crack the perfectly-timed joke or react spontaneously with boldness and optimism is to be admired. Yet sometimes you worry that you’ll have no lasting impact on the world around you. You worry about whether you’ve made a real difference and whether all the smiles you impart today will have any lasting effect tomorrow. You want your current actions to mean more than a momentary balm in a weary world. You want to impart a sense of freedom and possibility to the people around you. You want to break the hold of monotony that so many people are trapped in. But you want it to last longer than a moment, a day, or a week. You want your life to have meant something in the big picture. When this fear is bothering you take some time to get away from all the commotion of the outside world and focus on who you are on the inside. What do you want for YOU in life? In ten years what will have mattered to you the most? Re-organize your priorities if you need to, but sometimes you just need to re-confirm that you’re on the track you want to be in life. Sometimes talking to a good friend or family member can also help you to sort out these worries and concerns. Remember that all the things you do to brighten people’s days can mean a great deal in the long run. Lively and independent, you get a sense of purpose from being active, responding quickly, and solving problems for the people who need you. You want to feel unrestricted and in control of your life. When you’re sick or otherwise immobilized you fear being a burden to the people around you. You detest being at the mercy of anyone else or being unable to fend for yourself. This lack of control makes you antsy and restless. This same kind of anxiety plagues you if you’re stuck in a relationship that makes you feel unappreciated or you’re trapped in a job where you’re micro-managed and stifled every moment of the day. You feel like a caged lion who just needs to break free to exert your own independence and freedom. When you’re feeling this way, take some time to reflect on the accuracy of your thoughts. Maybe you’re not trapped but simply tired of being passive. Sometimes getting out and doing something recreational or accomplishing a small task can help. Maybe you really have outgrown your current life. Humans aren’t static. Maybe this job isn’t utilizing your strengths. Maybe your situation needs a change. But be careful before doing anything drastic – make sure you’re being thorough in your assessment of the situation first. Free-spirited, creative, and pragmatic, you combine an adventurous spirit with a down-to-earth sense of realism. You enjoy living in the moment rather than speculating about all that could happen someday. Following your heart and your impulses is natural to you, especially because you have strong instincts about what’s real and true in the world. Unfortunately, this same gift can lead to some anxieties over time. You sometimes worry that the things that matter to you will slip through your fingers if you can’t stick to a plan, can’t finally get that IRA set up or the saving account padded enough. You worry that outside influences will cage you in and you’ll lose your freedom if you forget to do something important. Sometimes this fear is irrational and only requires a good talk with a friend to confirm that everything is under control and okay. Sometimes this fear is a warning that some steps need to be taken to ensure long-term security. Independent and logical, you might pride yourself on not being afraid of anything. You’re deeply in touch with what’s real and what’s irrational so you might not struggle with existential angst like other types. However, you hate the idea of someone you love struggling and not being there to defend or protect them. A loved one dying, a child getting hurt, even someone hurting your dog might make you go all John Wick on whoever the perpetrator was. You may seem stoic and reserved, but if someone’s bullying a defenseless person you’re likely to step right in and teach that bully a lesson that will never be forgotten. Fear that plagues you tends to occur when you feel physically inept or incapable of protecting your loved ones or even yourself and your own autonomy. Sometimes this fear might serve as a reminder for you to send a text to the person you care about letting them know you appreciate them. Sometimes the fear is just temporary and some sleep will blunt its sharp edges. Observant and organized, you’re nearly always tuned into the needs of the people around you. You think about the security and physical and emotional welfare of the people you love on a daily basis. You work hard at everything you do and you want to make sure that everything is perfect. Sometimes you’re plagued with the fear that it’s never enough. You worry that no matter how much you do you can never be fully prepared for what can happen in life. You sometimes wish that people would understand how much you’re really going through and how much you really do behind the scenes. Sometimes it feels like you’re giving so much that you’re going to wind up completely drained, and then who will manage everything? If you’re struggling with worry and burnout over all the details that aren’t perfect then take a moment to just breathe. You might be so physically and emotionally tired that your worries are amped up from exhaustion. Maybe you need to talk to a friend and get out all the frustrations and anxieties you’re dealing with. Maybe you need to hand off one of your responsibilities and trust someone else to help you with that. Maybe something as simple as a change of scenery can help! As an ESTJ you look for clarity and order in all that you do. When things are vague or ambiguous you feel uncertain and stressed. You’ll lose sleep if a situation arises in which you’re unsure which direction to take or what’s needed to solve a problem. Leaving things open-ended or unresolved stresses you to no end. If you made a decision out of haste just to have closure then you might find yourself anxious over how that decision could potentially backfire. Uncertainty is a plague you want extinguished as soon as possible, and with it looming over your head you feel unable to rest or enjoy the moment as much as you want to. In phases like these try to take a deep breath and remember that it’s okay to encounter grey areas every once in a while. Nobody makes perfect decisions every single time. Remember that some solutions take waiting and patience to reveal themselves, and often rest and a distraction is just what you need for that solution to unexpectedly appear. Conscientious and pragmatic, you believe in creating a stable, tranquil atmosphere for the people you care about. You like consistency and knowing that the people you love are all on good terms. When conflict arises, particularly unresolved conflict relating to you, it feels like you can never rest till peace is made. You might lie awake re-playing everything you did wrong (even if the other person is more at fault than you are). You might work too hard to find a practical solution for a problem that has nothing to do with you (for example, re-painting your child’s room to help them cope with heartbreak). You have a hard time resting with animosity or knowing that someone you love is in emotional distress. It’s important during these times to remind yourself that only you can control how you feel. Everyone encounters an enemy at one point or another, sometimes because of their own mistakes, and sometimes just because they rubbed someone the wrong way without meaning to. Remind yourself who your true friends are and who really cares about you. Remember that many of the greatest people who’ve ever existed had enemies because of what they stood for. Remember that it’s not your job to “spin the plates” for everyone you love. People need to learn to solve their own problems without always depending on you. Practice pulling your energy in if you’re getting too stressed and burned out, and remember that sometimes the kindest thing to do is to let people deal with their own feelings. You’re a firm believer in hard work and creating stability for yourself and the people you love. Feeling like life around you is out-of-control or the people you love can’t be counted on is maddening to you. You like knowing what to depend on and who you can trust with absolute certainty. Sometimes you feel like all the work you do is taken for granted and that nobody actually notices any of it. If you have to wake up to an emotionally chaotic, unstable environment you may find it hard to relax at night and rest. The trepidation of knowing that’s what awaits you the next morning can make it hard for you to settle down. If you’re in this position then it’s probably time for you to assess your situation with someone you trust. Find out if there are any inter-personal issues that need sorting out. Getting regular, scheduled alone time and some semblance of a schedule is vital for you. It’s also important for people to respect your need for certainty. Sometimes counseling can be an effective way to deal with this, and sometimes just an open, honest conversation is all it takes. Was this article helpful to you? Do you have any thoughts or insights to share? Let us know in the comments! INFP – dying alone after living a long, lonely, miserable life. (From a fellow INFP) Take heart! I feel your struggle. I suffer from loneliness too but lately, I’m reminded that life is precious and it’s worth living. Let’s truly live life as we live one day at a time. Don’t forget to take time to find at least one thing for which you should be grateful for in a day. You’ll be surprised to find good things even in the mundane which we could easily overlook. 1. Getting enough amount of sleep is a necessity. Staying up late would only increase overthinking tendencies. 3. Meditation first thing in the morning and before I sleep, ruminating on positive things throughout the day especially when my thoughts would focus on negative things work a great deal. 4. Keeping journal helps cause though we can navigate our emotions, we can easily slip and get drown in them instead. Writing them down could help us dive deep but return to the surface with a treasure of new lesson learned rather than getting overwhelmed helplessly. 5. You are right on taking part of the worldI feel most at peace with myself at times when I do something good out of my thoughts, like functioning in Fi-Te way. And when I’m at the edge and the fear is great, it’s the time when I remind myself to take the bull by the horn.